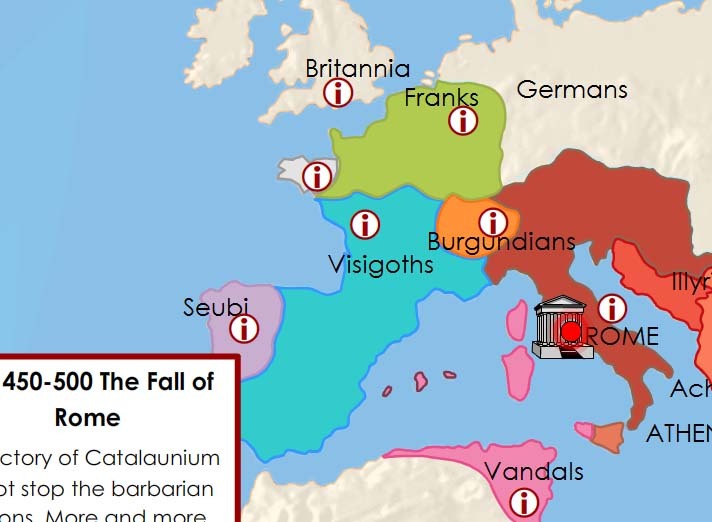 The Fall of Rome Time Trek includes 9 dynamic, animated maps, quizzes and encyclopedic information for each, as well as complete Teacher Notes with activities, map commentaries, timeline pages and student maps to label and color. $9.95 each for family license. Contact us for co-op and school license information. 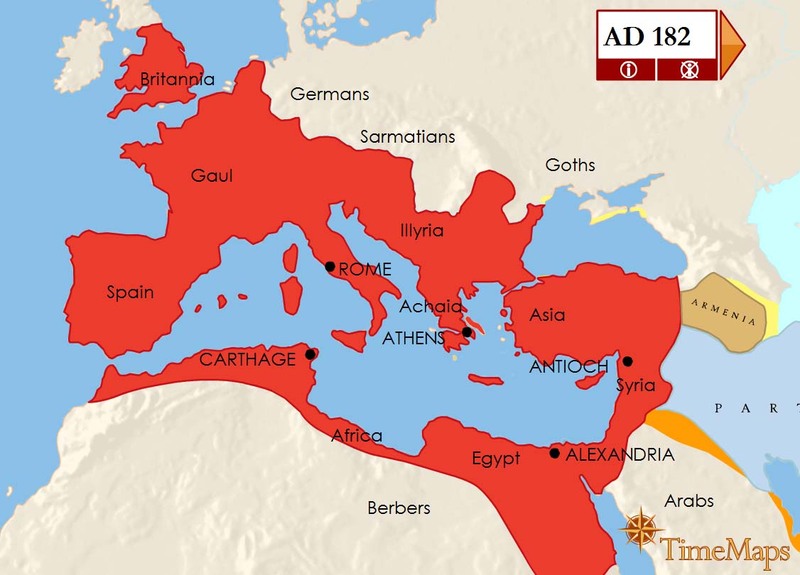 Read a review of Time Trek: The Fall of the Roman Empire here.